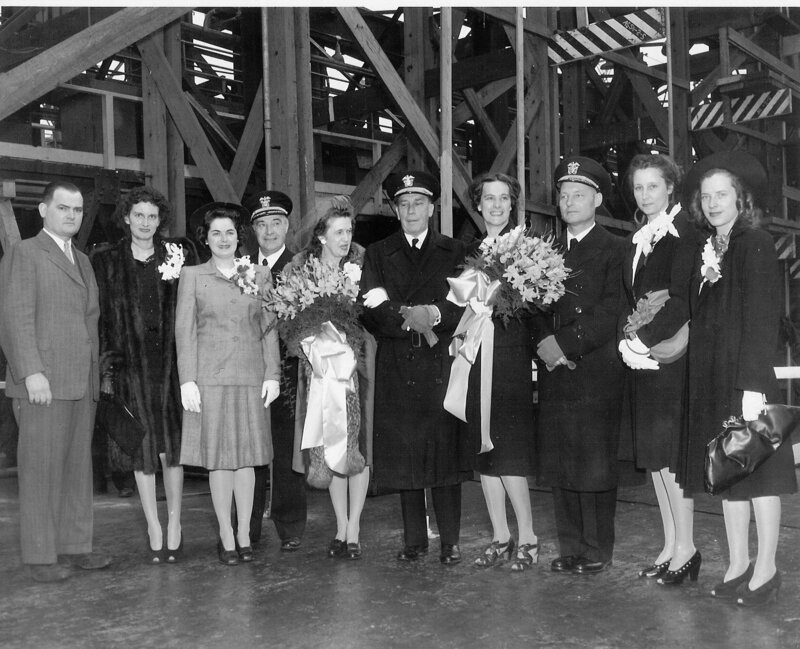 Laid down, 22 January1945, at US Naval Shipyard, Charleston, S.C.
Decommissioned, 10 February 1947, at Astoria, OR. two .30 cal machine guns on the bridge wings. 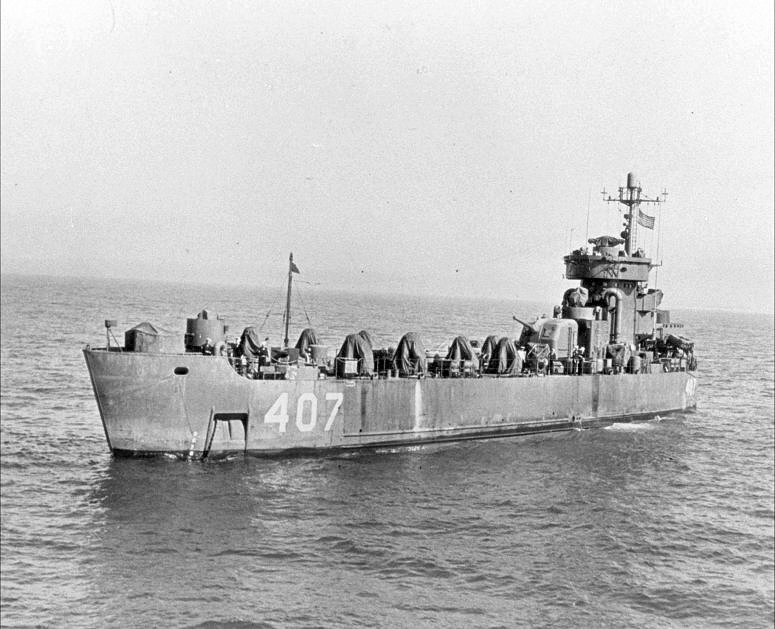 47k USS LSM(R)-407 underway, date and location unknown. 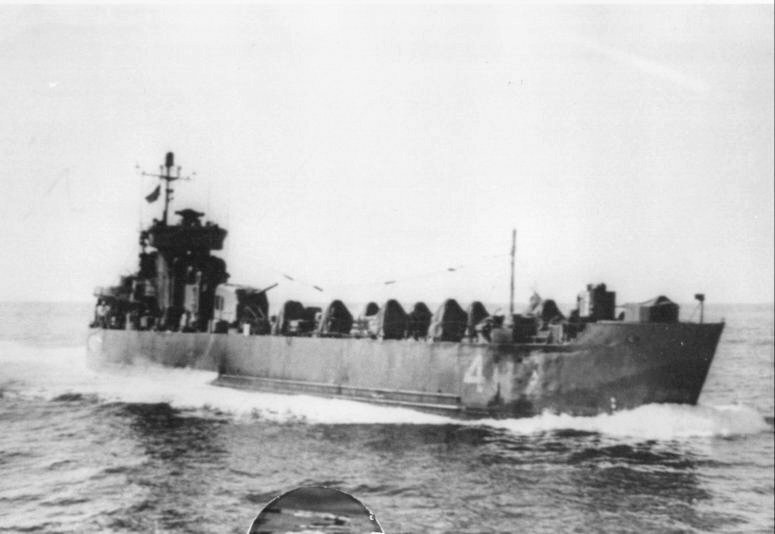 The DANFS history extract for Chariton River LSM(R)-407 is from LSM-LSMR Amphibious Forces, Vol. II. Paducah, Kentucky: Turner Publishing Company, © 1997. (ISBN 1-56311-389-9).